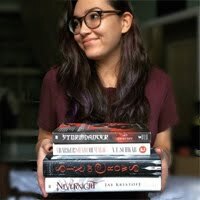 Synopsys (from Goodreads): Surrounded by enemies, the once-great nation of Ravka has been torn in two by the Shadow Fold, a swath of near impenetrable darkness crawling with monsters who feast on human flesh. Now its fate may rest on the shoulders of one lonely refugee. Shadow and Bone had been on my TBR list for forever and a day, sitting on my virtual iBooks shelf, collecting cyber dust over time, being pushed back and pushed back while I read other books and series. This past summer is when I finally caved in and read the book; although “devoured” might be a more fitting term. 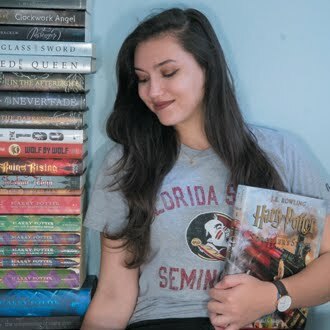 I read the book in two days while on vacation in the Florida Keys – quite the contrast to the book’s mountainous setting of the kingdom of Ravka. I fell in love with the characters immediately (except for Mal, but I’ll get to that) and the story was gripping and very different from what I was used to reading in the YA fantasy genre. 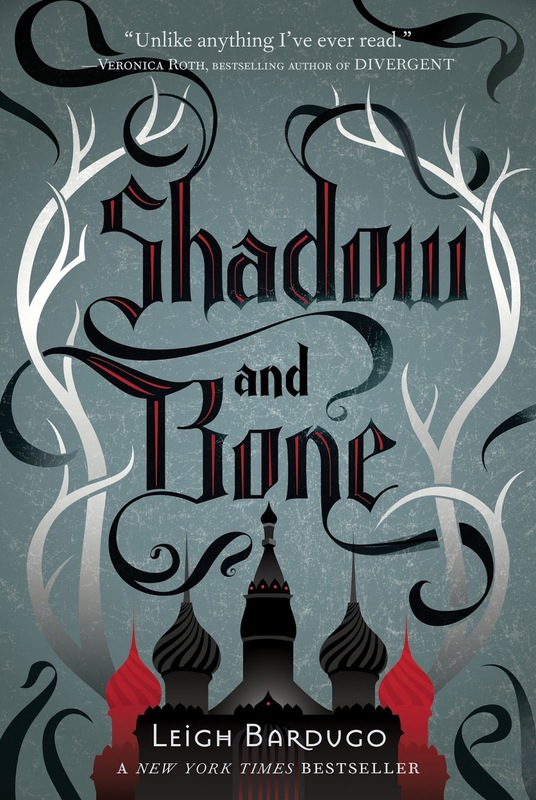 In everything from the characters’ names to the cities and landscape to the foods they ate, it really stood out to me that the book was loosely inspired by Russian culture, with nods to China and Scandanavia in the neighboring countries in the Grisha world. Leigh curates such a well-thought out and complicated mythology for the Grisha, rooting their abilities not in magic but science! The mythos is elaborate and has its own hierarchy built in, but it is easy to remember and follow without getting lost or muddled in the process. The story itself centers around a girl, a soldier in the king’s First Army, who is but a mapmaker unrequitedly in love with her childhood best friend, Mal, until she discovers a long-dormant and incredibly rare power within herself. The country of Ravka is war-torn and divided – literally – by a mass of darkness and things that go bump in the night called the Fold, or the Unsea. When Alina is crossing the Fold with her regiment, they are attacked by the monsters that dwell within the Fold. Alina’s suppressed power surfaces, abilities she never even dreamed she might have, and her life changes forever when the Darkling seeks her power in attempt to destroy the Fold and reunite Ravka once and for all. But with the Darkling, nothing is ever as it seems. All in all, this book receives 4.5 out of 5 stars from me. It was a gripping story with a refreshing concept and intriguing cast of characters whom I became quickly attached to. I immediately started the second book, Siege and Storm, upon finishing this one. I’m currently on the final book of the trilogy and eager to see what's in store for Alina and her friends!